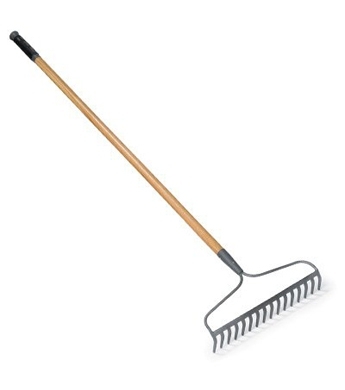 16 tine fiberglass bow rake. 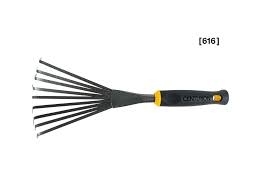 Durable tool with cushion grip handle and carbon steel head. 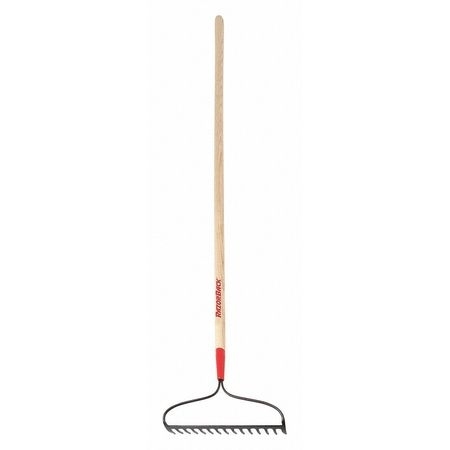 This essential garden tool makes small gardening projects a breeze. 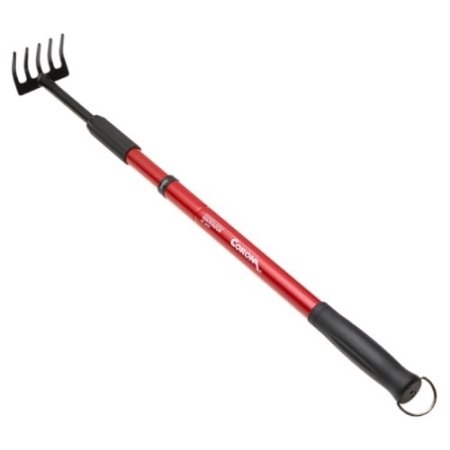 The stamped hardened alloy steel body and rust-resistant Hammerstone finish ensures longevity that can handle the toughest gardening needs in confined spaces. 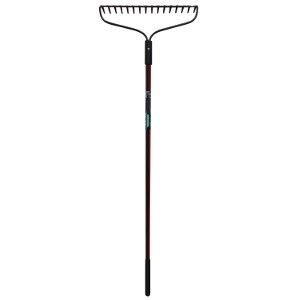 The 9 metal tines are very flexible and constructed of steel, perfect for close quarter gardening projects without damaging tender growth. 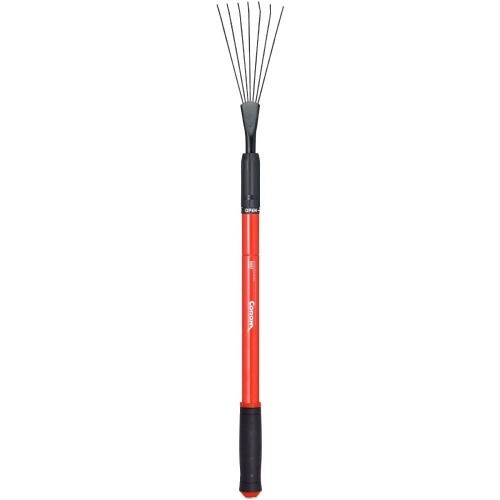 The soft, contoured, non-slip handle is ergonomically designed to encourage a neutral wrist position.Features: Ergonomically-Designed Soft, Contoured Handles with Stamped Hardened Alloy Steel Body. 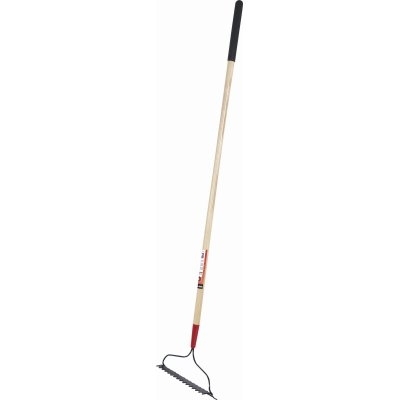 Rust-Resistant Hammerstone Finish Ensures Longevity and Includes Hanging Hole for Easy Storage. 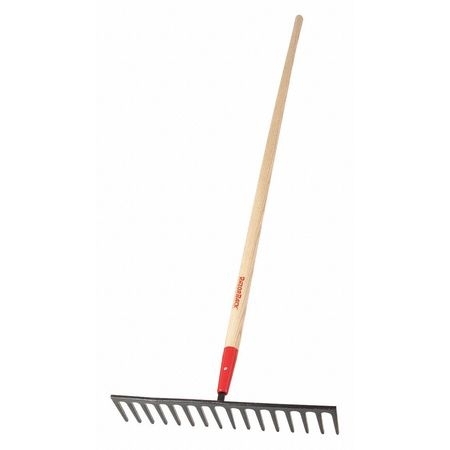 Perfect for spreading and leveling stone and gravel. 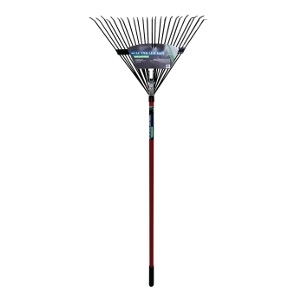 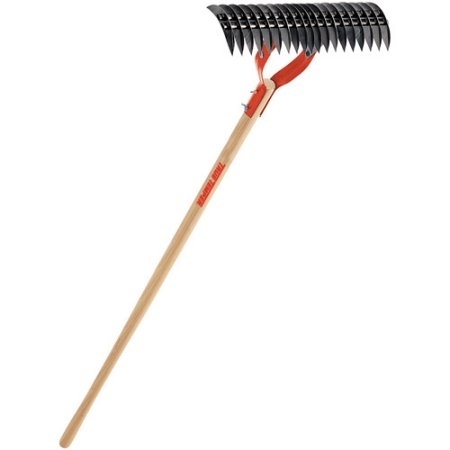 Razor-Back; 1 Piece; 15 Tine; Forged Tempered Steel; Bow Rake; Extra Long 66" North American Hardwood Handle Reduces Back Strain; Steel Ferrule For Strongest Blade & Handle Connection.